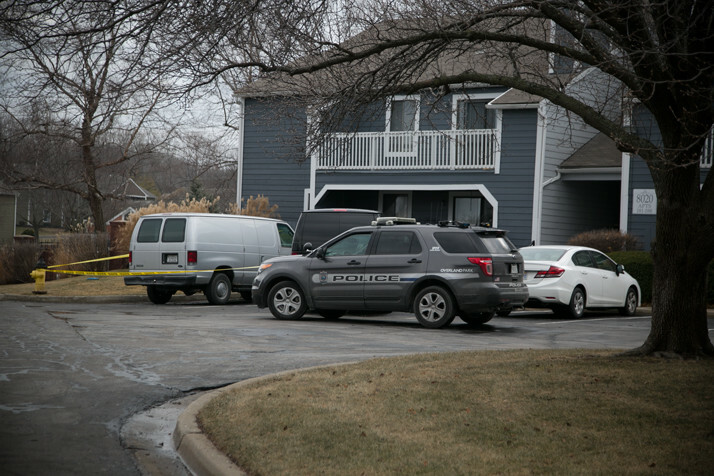 Overland Park police responded to a murder in the neighborhood in January 2018. Overland Park Police set community meeting following string of violent crimes in neighborhood. Following a string of violent crimes in a northern Overland Park neighborhood that also saw a murder last year, Overland Park police are convening a community meeting to discuss efforts to prevent crime in the area. The meeting will be at 6 p.m. Friday, Feb. 15 at Comanche Elementary. A 17-year-old was shot and killed near 80th and Farley on Jan. 23. A week later, they responded to another shooting at 79th and Farley. And on Friday, a young man was stabbed in the 7800 block of Grant Lane. Icy night prompts cancelation of Shawnee Mission classes, conferences. A night of icy drizzle prompted the closure of Shawnee Mission schools today as well as the cancelation of planned parent-teacher conferences that had been scheduled for elementary and middle school students tonight. The district said it will determine whether it can hold after-school activities that had been planned for this afternoon sometime today. District officials are also calculating whether every building in the district will have enough instructional hours to keep the planned last day of school as scheduled after factoring in today’s snow day.